The Bollywood Awards season is round the corner and film stars are gearing up to pick their statuettes. How about if stars get a statuette of themselves? Well it looks like a dream but with the present-day 3D printing technology it has become easy to manufacture a statuette of oneself! And one such statuette has already been made of none other but the Badshaah of Bollywood – Shah Rukh Khan! 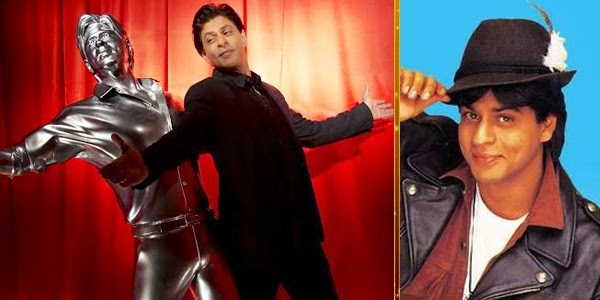 The silver shining king-size 3D printed model of Shah Rukh Khan depicts the superstar in his popular signature pose with both hands wide open in the typical Shah Rukh Khan style as seen in his romantic hit DILWALE DULHANIA LE JAYENGE. What is most amazing is that it is the First of its kind 3D printed model in the ‘World’ and most importantly it is ‘Made in India!’ The miraculous statuette is the brainchild of Redchillies.VFX and Autodesk India. The highlight of the statue is its micro details about which even Shah Rukh marveled in his tweet. He said, “The level of detail depicted in the piece is sure to wow fans. Even the folds in the shirt and trousers are captured in such detail...and if I may add the dimples too."